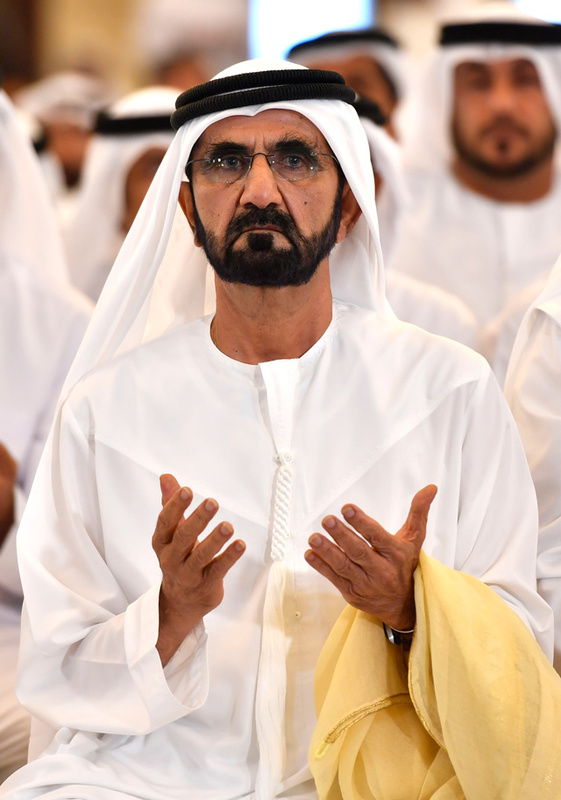 Vice President, Prime Minister and Ruler of Dubai, His Highness Sheikh Mohammed bin Rashid Al Maktoum, this morning performed the Eid Al Adha prayer at Zabeel Mosque. Performing the prayer alongside the Vice President were H.H. Sheikh Hamdan bin Mohammed bin Rashid Al Maktoum, Crown Prince of Dubai, H.H. Sheikh Hamdan bin Rashid Al Maktoum, Deputy Ruler of Dubai and UAE Minister of Finance, H.H. Sheikh Maktoum bin Mohammed bin Rashid Al Maktoum, Deputy Ruler of Dubai, H.H. Sheikh Ahmed bin Mohammed bin Rashid Al Maktoum, Chairman of Mohammed bin Rashid Al Maktoum Knowledge Foundation, H.H. 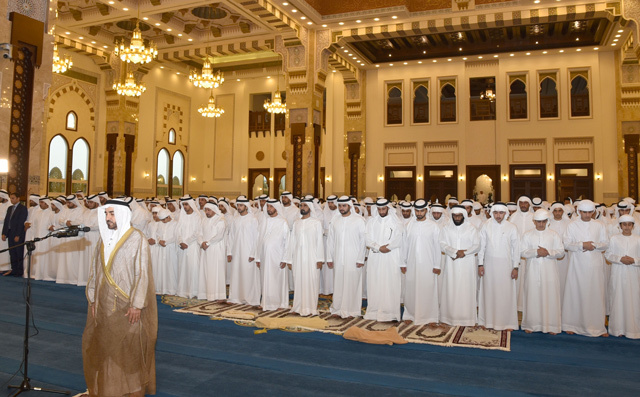 Sheikh Mansour bin Mohammed bin Rashid Al Maktoum, a number of Sheikhs and a group of worshipers. Following the prayer, Imam Dr. Omar Al Khatib delivered an Eid sermon which focused on charity and giving, highlighting Allah's reward for good deeds. The Imam also reflected on the character of the late Sheikh Zayed bin Sultan Al Nahyan, who was known for his love of goodness, tolerance and benevolence, saying he was "An example of good and giving at home and abroad." 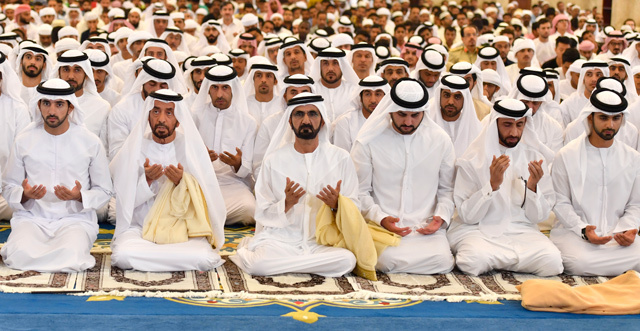 The sermon concluded with a prayer on the souls of the late Sheikhs Zayed, Rashid, and Maktoum, as well as the martyrs of the nation; calling on Allah Almighty to protect the nation and its people, and grant success for the country's leadership in their duty in serving the nation.